Photo courtesy of the Snyder administration. The Michigan Legislature is getting closer to approving a state spending plan. On Wednesday, the state Senate passed a education funding bill. And after lawmakers come back from the Mackinac Policy Conference, a broader budget is slated to pass next week. But so far, debate on proposed appropriations have been mostly divided on party lines. 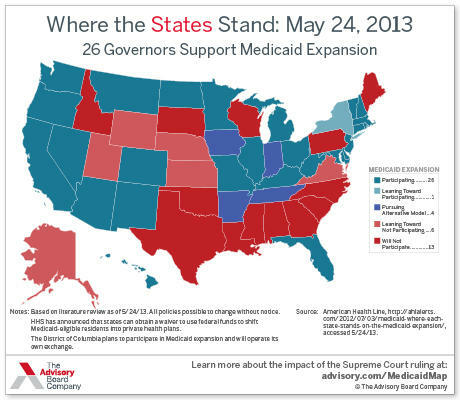 One issue on the partisan divide: Medicaid expansion under the Affordable Care Act. The federal healthcare law called for broadening health insurance coverage to low-income adults — including some 400,000 in Michigan. Out of 30 Republican governors, only six supported the expansion. Gov. Rick Snyder was one of them. "Expansion will create more access to primary care providers, reduce the burden on hospitals and small businesses, and save precious tax dollars,” Snyder said in a press release in February. "This makes sense for the physical and fiscal health of Michigan." States and their plans for healthcare expansion. Gov. Rick Snyder does support Medicaid expansion, but the Republican-controlled state legislature doesn't. But federal funding for the expansion of Medicaid has been left out of the Republican-supported budget, running counter to Snyder’s recommendation. Now, as the proposed budget makes its way through the Senate to Snyder’s desk, the fate of the expanded health coverage remains in limbo. Medicaid expansion in Michigan isn’t dead yet — but securing expanded health coverage may prove to be difficult. Instead of including the federally-backed Medicaid expansion into the state’s budget, House Republicans introduced a bill that would allow for increased Medicaid coverage, but only if the federal government concedes on some specifics. 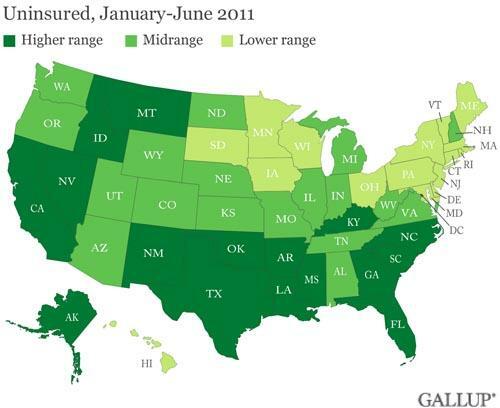 The uninsured population of the U.S. by state, ranging from a low population without insurance to high. Under the original federal law, insurance through Medicaid is guaranteed to citizens between the ages 19 and 65 who earn up to 133% of the poverty level, regardless of disability status. The federal government agreed to pay 100% of the costs associated with the Medicaid overhaul until 2017, and then 90% there on out. Since the Republican-backed limited Medicaid plan would require federal funding to get off the ground, the legislation needs the approval of the Obama administration. But as the bill stands, experts doubt the executive branch will support the changes. “The limits on coverage are almost certainly going to be rejected by the federal government,” said Dean Smith, a professor in the Department of Health Management and Policy at the University of Michigan. To date, no other state has elected a cutoff point for coverage. "If Michigan doesn't elect the Medicaid expansion as it stands, hundreds of thousands of low-income families would continue to be uninsured." If the plans are indeed scrapped on the federal level, Michigan might not see any expanded Medicaid coverage at all. 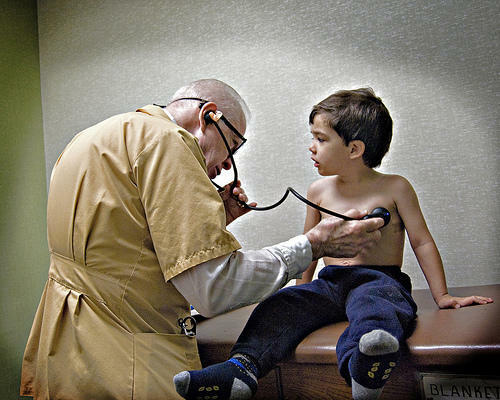 “If Michigan doesn’t elect the Medicaid expansion as it stands, hundreds of thousands of low-income families would continue to be uninsured,” said Karen Pollitz, a fellow with the Kaiser Family Foundation, a health policy group. This raises concerns regarding the healthcare law's tax penalty provision, which mandates that citizens without health insurance pay a $95 fee for non-enrollment in 2014. The fee increases each year after the law's implementation. But Pollitz says that without Medicaid expansion, those who would've fallen under the expanded Medicaid coverage will likely not to be charged, since the available subsidies on the federal healthcare exchange might not be steep enough to make coverage affordable. “If the least expensive insurance option exceeds 8 percent of someone’s taxable income," — which may be the case for many uninsured Michiganders without the Medicaid expansion — "they won’t be penalized,” said Pollitz. Here's a map from the Mackinac Policy Center, highlighting just how many uninsured Michiganders are expected to enroll in Medicaid healthcare if the expansion passes in the state. Part of the Affordable Care Act (aka Obamacare) calls for an expansion of the Medicaid program, but some state legislators and governors are resisting the expansion. 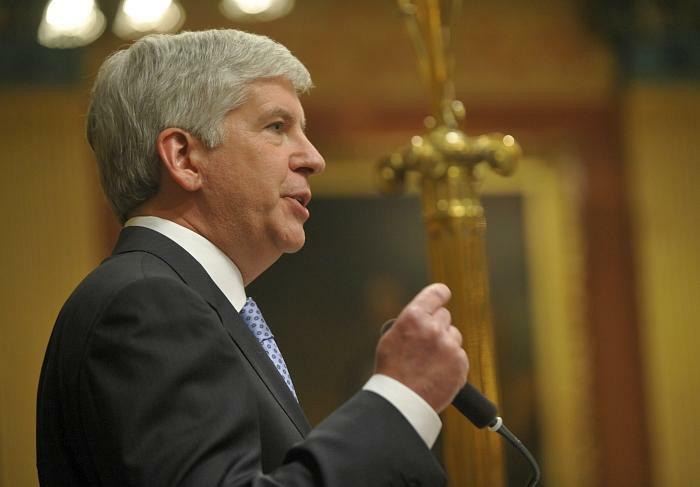 Michigan Governor Rick Snyder is NOT one of those governors resisting. When he announced his support for the expansion last month, he said it was about being "financially responsible." Republicans in the Michigan Legislature, however, seem to disagree. 37,000 low-income Michiganders and small-business customers may be eligible for health coverage through a new health insurance cooperative, the Lansing State Journal reports. With $72 million in federal funding, Consumers Mutual Insurance of Michigan is an alternative health care option for families and businesses looking for coverage after provisions of the Affordable Care Act go into effect January 2014. A state House subcommittee has stripped a provision from a budget bill to expand Michigan’s Medicaid program. The money to add more than 400 thousand people to Medicaid would come from the federal government under the new national healthcare law. Some Republicans say they don’t trust Washington to keep that promise or that they want to see some changes to Medicaid before they’ll support it. Roger Martin is the spokesman for a coalition of businesses and healthcare providers that supports the expansion. He says concerns that the federal government will eventually cut off the money is unfounded. 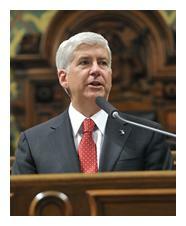 Governor Rick Snyder called for the Medicaid expansion in his new budget proposal. He considers the subcommittee action a temporary setback. 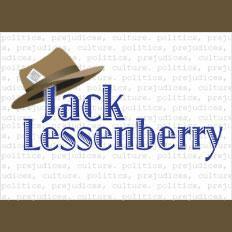 For as long as I can remember, the Republican Party has stood for local control. They don’t like Washington telling the states what to do. When Democrats have been in control in Lansing, they didn’t like the state meddling in local matters. Today, this continues to be true in one sense. It’s clear that the Republicans running our legislature don’t like the federal government setting health care policy for the states. That’s why they’ve refused for two years to establish a state registry to help match Michiganders who will now need to buy health insurance with various private care providers. Basically, those running our legislature want to pretend that the Affordable Care Act is going away soon. Never mind that the U.S. Supreme Court ruled that it was fully constitutional. Never mind that the last presidential election was fought largely on that issue, and President Obama was decisively reelected. They so hate higher levels of government telling lower levels what to do, that they refused to create a health care registry, even though this means that Washington will create one for us anyway, and we will lose millions as a result. Well, you might figure that if the Republicans believe this that strongly, they’d be against meddling with employment policies set by local units of government. But you’d be wrong. At least, that is, when it comes to benefits for workers.